All Elite Wrestling kicked off 2019 with an official press conference in Jacksonville Florida to make a series of surprise announcements. The company will hold a Pay Per View in Las Vegas at the MGM Grand, the world-famous arena to host Holyfield vs. Tyson and De La Hoya vs. Mayweather. 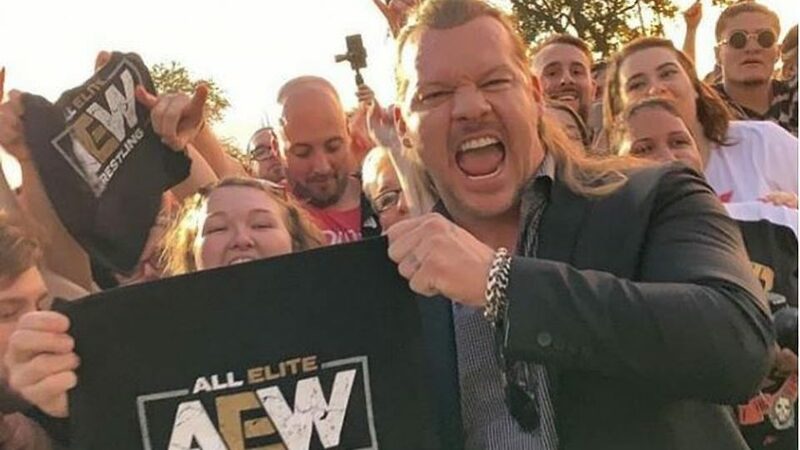 A partnership with Chinese promotion OWE and the signing of multiple time World Champion Chris Jericho to a three-year contract. After becoming the first ever WWE Undisputed Champion, main eventing WrestleMania, and becoming a star in New Japan Pro Wrestling, Chris Jericho became one of the industry’s most popular and respected performers. Now he reinvented his career once again by joining All Elite Wrestling. In 1994, Eric Bischoff had the same goal in mind. He wanted to sign a world-renowned superstar to legitimize WCW as the number one promotion in the world. But instead of going after a big fish like Jericho, he wanted the biggest shark in the ocean. Bischoff had begun filming WCW in the family friendly Disney-MGM Studios. Down the street, recently retired wrestler Hulk Hogan was on set of his new TV show, Thunder in Paradise. Although it wasn’t a hit. At the time, there were high hopes for the new action series from the producers of Baywatch. One night while Bischoff was fast asleep, his phone rang. Grouchy he had been woken after a stressful day of work, he belligerently answered the phone. Only to hear a familiar voice say, “Hello brother, this is Hulk Hogan.” Bischoff was shocked and climbed out of bed to quickly clear his head. A Turner Executive had passed his number onto Hogan. The two had a friendly conversation for half an hour, which ended with a meeting being set up. Unlike WWE, who was in the process of focusing on a new generation of superstars, Bischoff wanted WCW to revolve around The Hulkster. He thought Hogan could bring his company to the same heights he brought WWE in the 80s. Hogan jumping ship wasn’t a secret to anybody. WCW wasn’t shy to tell the entire world during a press conference on June 11th, 1994. Going down a similar route as All Elite Wrestling, Hogan stood on stage to tremendous fanfare after arriving on the back of a sports car during a parade held by Disney. The Hulkster went on to defeat Ric Flair in his first WCW match for the World Heavyweight Title at Bash at the Beach. But Rome wasn’t built in a day. For everything WCW had going for them, they were still number two. Ted Turner’s company couldn’t knock Vince McMahon off his perch. WWE business was at all an all-time low following the steroid trial and departure of Hogan, but they kept hold of their top spot with Hart, Michaels and the rise of new superstars Diesel and Razor Ramon. Hogan was the reason Bischoff was able to compete with McMahon, so he didn’t want to upset his cash cow. To gain Hogan’s trust, WCW followed WWE’s path of presenting an over the top children’s show by portraying Hogan as a superhero and defender of the universe. Ridiculous storylines included The Hulkster traveling to a hidden temple to defeat the evil Dungeon of Doom, an exaggerated group of face-painted villains. WCW snatched a small percentage of WWE fans, but the outside world wasn’t interested. They wanted an alternative. They wanted something different. 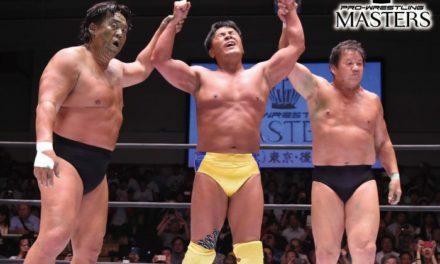 Around this time, Eric Bischoff began traveling to Japan for business and saw how wildly different professional wrestling was in the land of the rising sun. 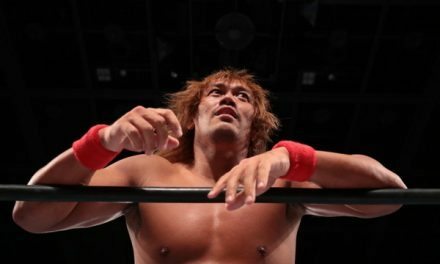 Japan treated Puroresu with the same respect as football and baseball. New Japan Pro Wrestling events were reported in the newspaper the next day, while WCW was lucky to be joked about on a second-rate talk show. Bischoff decided to inject a dose of reality into his own storylines.